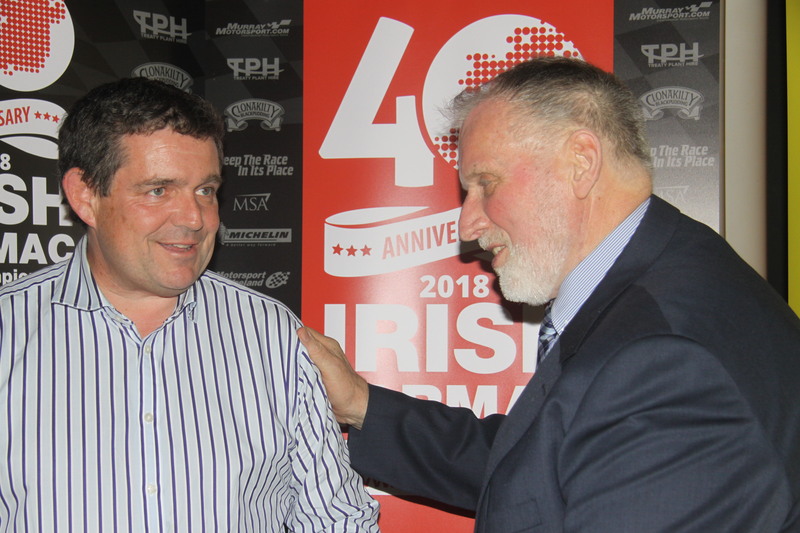 The sixth and final round of the Irish Tarmac Rally Championship, the CB Tool Hire Cork 20 International Rally will take place this weekend based around the town of Macroom, Co. Cork. With neither Josh nor Sam Moffett entered for the event, this confirms Josh Moffett as the Tarmac Champion for 2018 as he can no longer be caught, taking the title from his brother who was the 2017 champion and who will finish the season as runner up. Third placed Robert Barrable is not entered either, so Jonny Greer & Kirsty Riddick are top seeds in their Ford Fiesta R5 and a good result would propel them into third overall in the championship. There are very few international registered crews entered with Daniel Cronin & Shane Buckley at three in another Ford Fiesta R5 with their last championship appearance being in May in Killarney. Roy White (Ford Fiesta WRC) & Meirion Evans (Hyundai i20 R5) are the other seeds in the top four, but are not championship registered. Willie Mavitty has already retained his Group N title but makes an appearance in Cork with his rival David Guest having switched over to a Skoda Fabia S2000 during the year and there should be a good battle between this pair. The Treaty Plant Hire Modified Championship is still to be decided, but Kevin Eves still holds the advantage in his Toyota Corolla by eight points over John Bonner. Both drivers have already dropped scores this season so will gain points with a finish on this round. While Eves holds a nice advantage, he can’t afford any slip ups as the entire top six championship drivers have entered and can take points from him if he hits trouble. 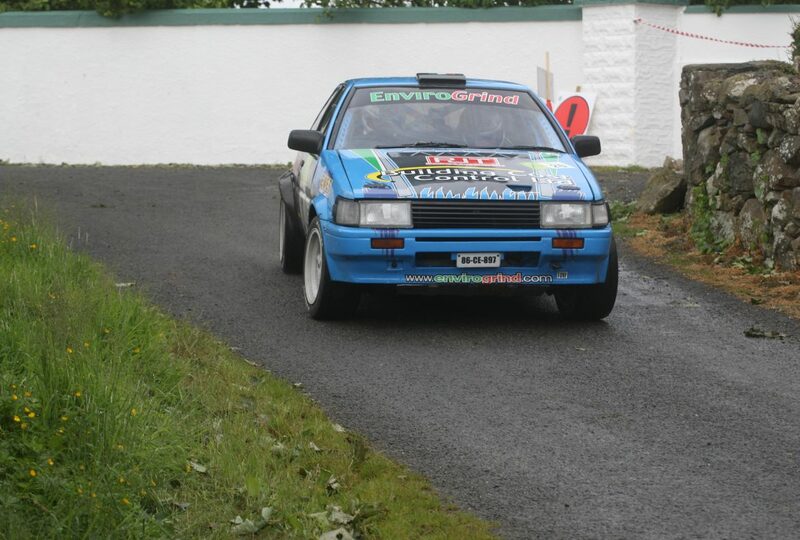 Third placed J.R. McDaid has appeared on each round so far and will be targeting second overall in the championship. Jason Roche in fourth and Stephen Bawn in sixth place have also been strong supporters of the championship and can all improve their placing. Kyle McGettigan has really turned up the pace over the past few rounds and has edged Bonner for points on the last two events and will fancy his chances of taking top points here. Jason McSweeney (Mitsubishi) and Ciaran Phelan (Honda Civic) are also championship registered and will be looking to finish the season on a high. The Historic Championship is also to be decided with Owen Murphy & Anthony Nestor holding a thirteen point advantage in a Sunbeam Lotus after taking three wins from three outings. However Owen can still be caught if he hits problems with two of his three rivals entered for Cork. There is no entry from Andy Johnson who lies second, but Duncan Williams & Martin Freestone in joint third are still within range to take the championship if anything were to happen Murphy. Other championship drivers entered are Brendan McAree (Porsche), David Goose, Declan Jackson, Maurice Meskell and George Cullen (all in Escorts. The Murray Motorsport Junior Championship has already been won by Gary McNamee who is entered as top seed in his Honda Civic along with Derry Long and Padraig Walsh in similar cars. 2017 champion Jenna McCann who has been concentrating on forestry rallying in 2018 has also entered in a Ford Fiesta R2. Clerk of the Course Paul Browne has put together a sixteen stage event, eight stages each day on some of the best rally roads in the country. The action begins with the Cobblers Cross stage at 9:39 on Saturday morning with the first car due back into Parc Ferme just after 5:30pm. Sunday’s action begins with Mushera at 9:06am and the first car is due back at the finish ramp at approximately 5pm on Sunday evening.